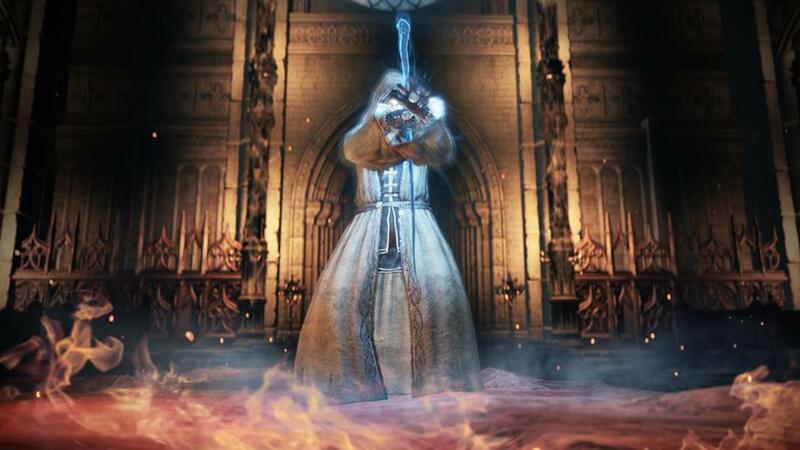 The Dark Souls creator talks storyline, challenge, character builds and more. 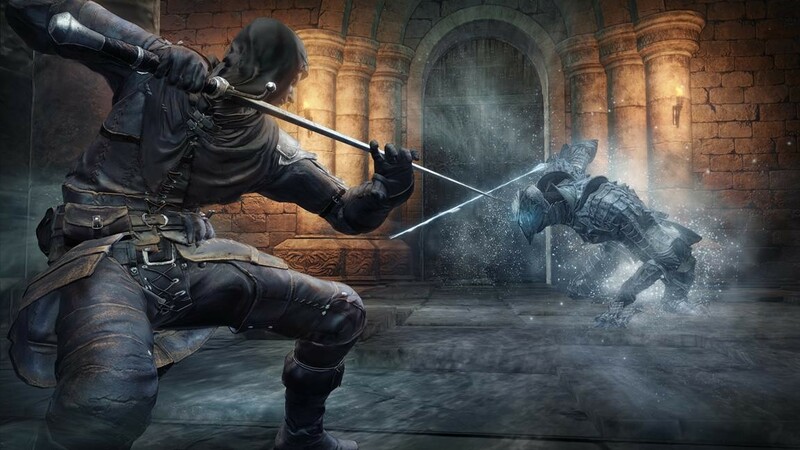 While many prominent directors have been in the world of video games for what feels like forever, Hidetaka Miyazaki still feels like something of a fresh face. Inspired after playing Ico, he switched careers into games and quickly rose through the ranks of his chosen company, From Software. What followed was a meteoric rise over little more than a decade. Within a few short years Miyazaki was made president of the company having helmed a couple of solid Armored Core titles before finding what feels like his true calling in a game that’d later become Demon’s Souls. The success of that title, and the four games and two series’ that followed it, assured not only his position as company president but also as a visionary designer and director. He doesn’t immediately strike you as the type who has had a hand in creating several of the most influential games of the last ten years. During a stage presentation to press he holds the room’s attention, but also has a reticent but thoughtful presentation manner which suggests that when push comes to shove, he’d probably rather be back in Japan working on the game. He’s also hugely charming and humble, though – he apologetically tries to wrangle extra interview time off Namco PR when our slot runs a little short, and when I tell him I feel the Souls series’ open-ended take on narrative is one of the most refreshing in games, he sheepishly smiles and says thank you several times over with a tiny bow. I sit down with Miyzaki up in the rafters of a church which has been kitted out with the game and other Souls-style regalia for the press event. People explore the first few areas of the game and are mauled by its enemies below, with Miyazaki watching from on high. I’m not entirely sure if Namco planned this imagery or not, but it’s particularly potent nonetheless, especially as he goes on to detail his role as series overseer and how the one true canon for the series story is in his head only, and will remain there. 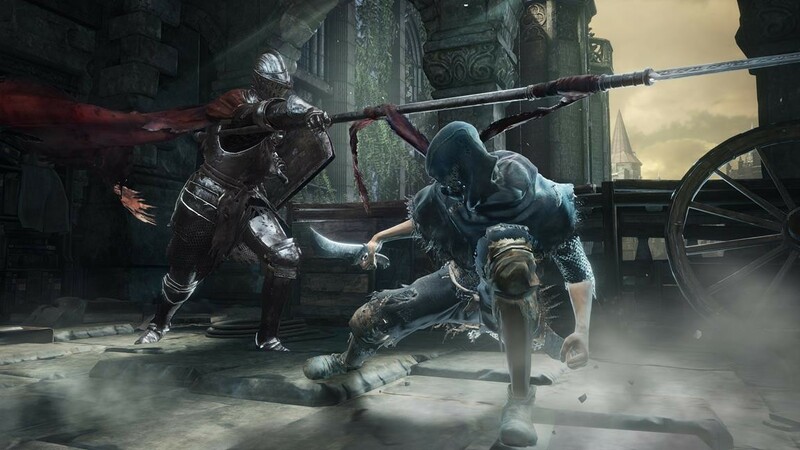 “All of Dark Souls 3’s design is basically based on my own personal preference,” he declares when I ask him about the difference between Dark Souls 3 and the previous two titles in the series. That speaks to Miyazaki’s role as an auteur, too, in an age when games driven by one central, publicly visible figure seem to be less frequent. That, I suppose, is why Miyazaki looks so at home watching over this Souls event from above – this really is his baby. While he’s undoubtedly the man in charge, Miyazaki does follow that statement up by noting that he has a sizeable team working on the game, with much of his work being that of an overseer. One area that requires his touch in particular, he reveals, is the series’ infamous difficulty. That balance, he goes on to explain, is something he strives to find and instill not just in difficulty, but in all aspects of the game. Take, for instance, how Dark Souls has you pick a character class at the top of the game. “We’re trying to keep it so that whatever type of character you create initially, it doesn’t really matter in terms of what weapons you wish to use later on,” he explains, then using the example of a fleet-footed thief using a gigantic longsword. As detailed in our full hands-on preview, Dark Souls 3 is in many ways a game that’s absolutely more of the same, but many wouldn’t consider that a bad thing at all. 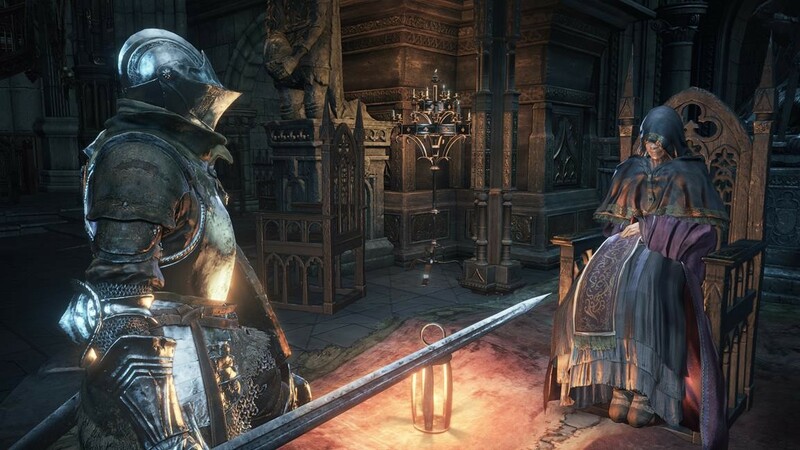 It’s clearly aimed to be the ultimate refinement of the series, also folding in knowledge gained from Bloodborne. 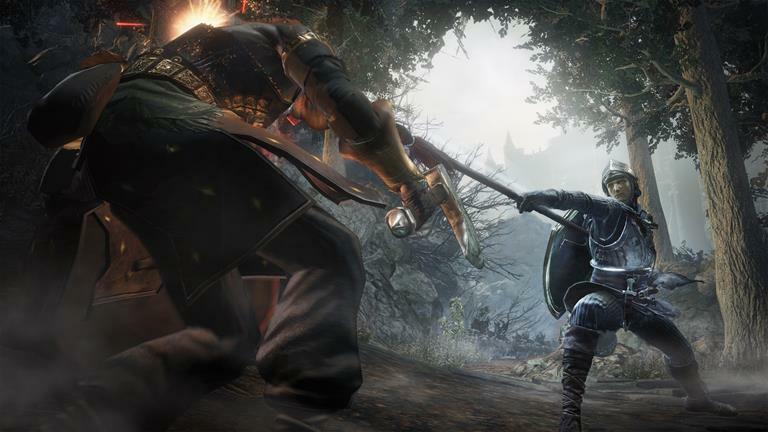 One area where Dark Souls 3 will be all new, however, is in its narrative, with the game offering vital new information for fans who have trawled the first couple of games for every little piece of story they can find. 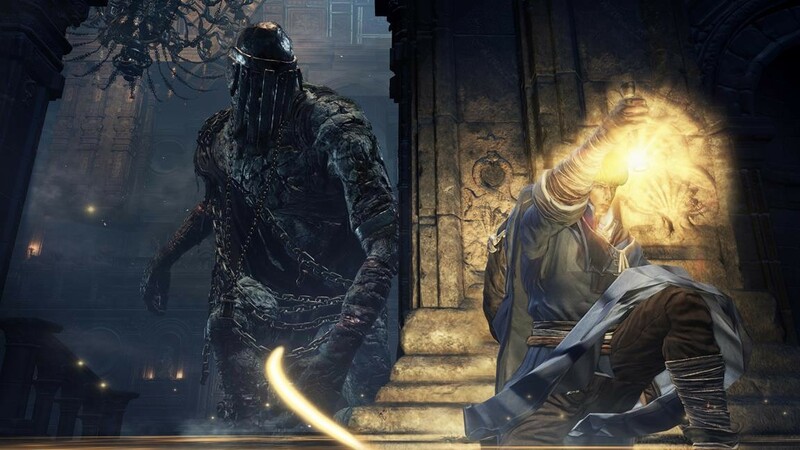 The delivery of the narrative of the Souls series is something that’s grabbed the attention of a great deal of players, though in many ways it can also be seen as bold and risky – it requires a lot of thought, and is a far cry from the spoon-fed stories of many RPGs, especially those out of Japan. While this is technically the fifth game in this mould from Miyazaki since 2009, it’s clear from our all-too-brief chat and from playing Dark Souls 3 that he’s still yet to burn out on this type of creation. I’m one of the final slots at the end of a gruelling 5-hour interview schedule, and yet he’s still energetic and enthusiastic about explaining the less obvious ins-and-outs of his seminal series. 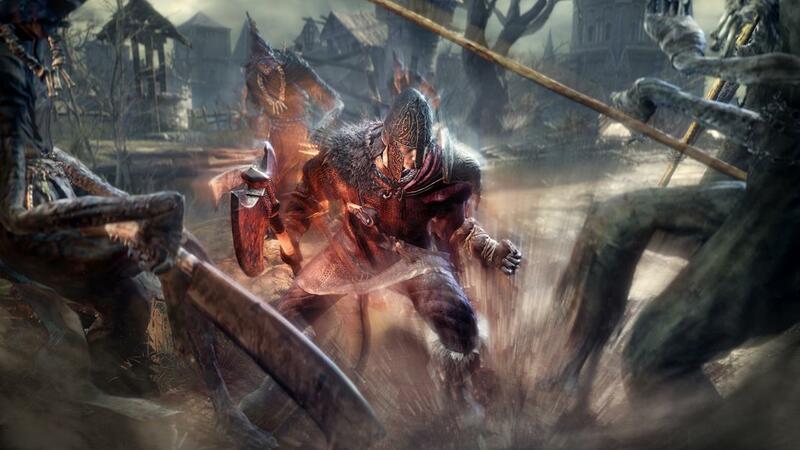 Dark Souls 3 launches for PC, PlayStation 4 and Xbox One on April 12.